Protesters marched toward the entrance of City Hall chanting "I believe that we will win"
Cynthia Mitchell, center, attended the rally with women from her church. Some counter-protesters wore protective vests. 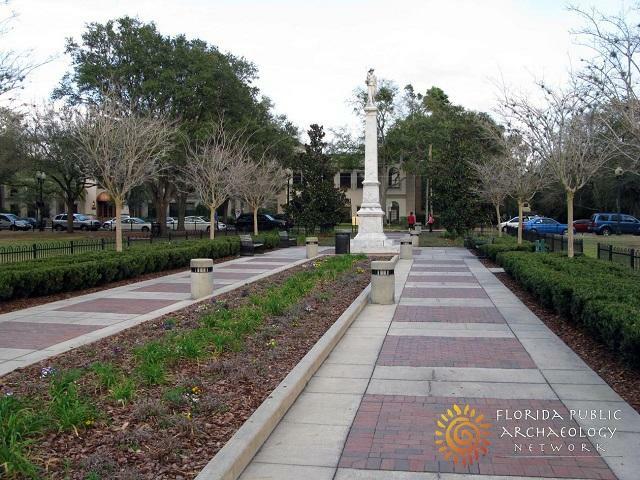 About 50 protesters gathered on Wednesday in front of the City Hall in Hollywood to demand changes to the designations of three streets: Forrest, Hood and Lee --all named after Confederate generals. 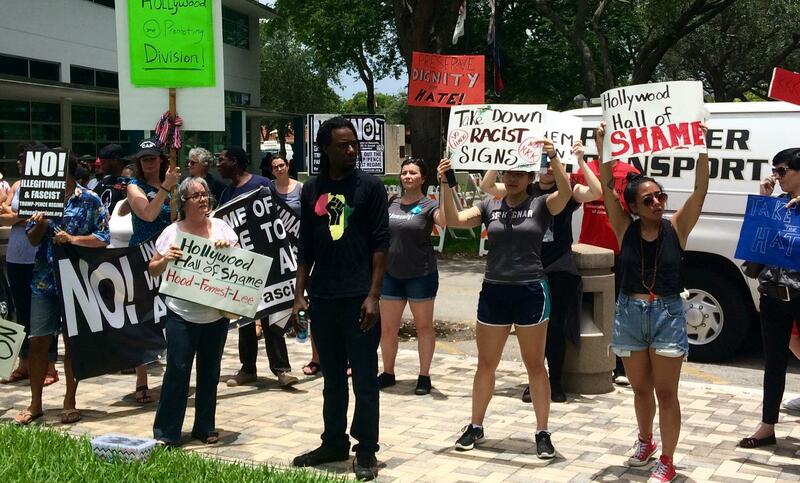 Protesters held signs reading "Hollywood Stop Promoting Division!" "Take Down Racist Signs" and "Preserve Dignity not Hate!" They emphasized that people who live on those streets, many of whom are African Americans, see those signs every day. "This is a sign of the people who actually protected the institution of slavery," said Tifanny Burks, 24. She's an organizer with the Black Lives Matter Alliance Broward. "Having them up there as a daily reminder is disrupting the dignity of these people." Organizers of Wednesday's protest say this is an ongoing debate. Burks says the Black Lives Matter Alliance Broward got involved with this effort about two years ago, but it's been a conversation for more than a decade. Cynthia Mitchell, 56, attended the protest with women from her church. "I migrated from Jamaica, coming here for a better life--and found a lot of prejudice in the mix," she said. Her house is on Hood Street. "We're not going to stop until they take those street names down." "I'm a true patriot," said Linda Schainberg, who's in favor of keeping the street signs the way they are. The demonstrators were met with a slightly smaller counter-protest made up of people who wanted to keep the street signs. At one point, about 10 Hollywood police officers formed a barrier between the two sides. 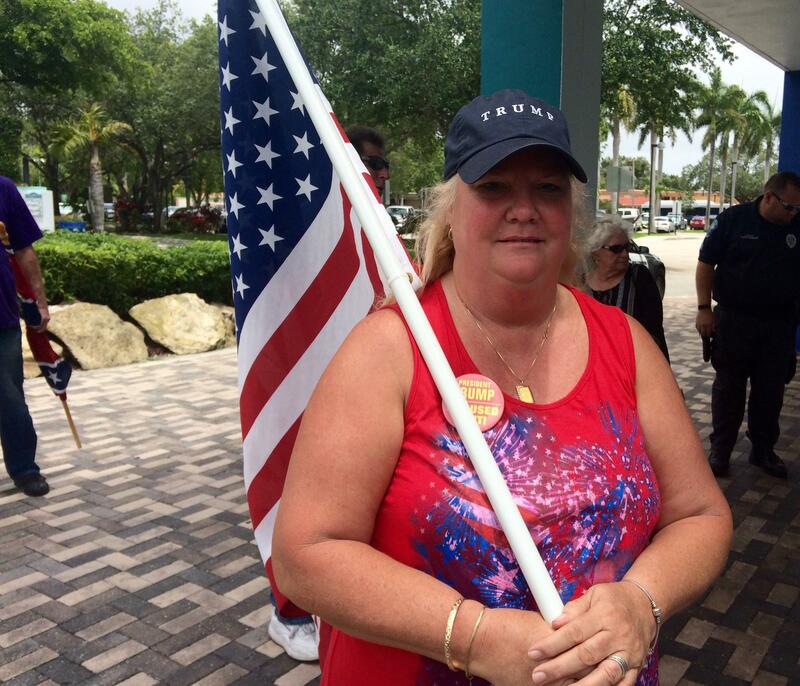 "My great-great grandfather was a Confederate soldier," said Linda Schainberg, 55. 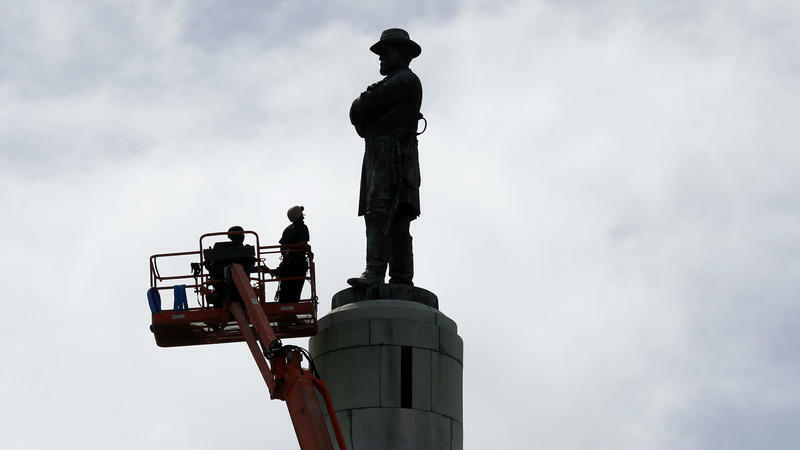 "I'm darn proud of that because you can't erase history." Like many of the counter-protesters, Schainberg waved an American flag. Tension is mounting in Hollywood Florida over Forrest Street-a street named for Nathan Bedford Forrest, a Confederate general and a founder of the Ku Klux Klan. The split in the community has commissioners asking the city's African American advisory council to help make the call on changing the street name. The council agreed Tuesday night that Hollywood should not only rename Forrest Street, but also noted two other roadways named for Confederate generals: Lee, named for General Robert E. Lee, and Hood, named for John Bell Hood.